B R A I N L I G H T integrates biology and illumination design into an interactive, sculpture cut from perspex and engraved with neural networks. The brain sculpture lights up in response to changing brain activity transmitted from our EPOC+ headset. As the participant views the colors on the Brainlight, their own brain waves change in response to external stimuli. Some can even start to gain control over their mind, setting up a feedback loop of response, reaction, observation, and response. 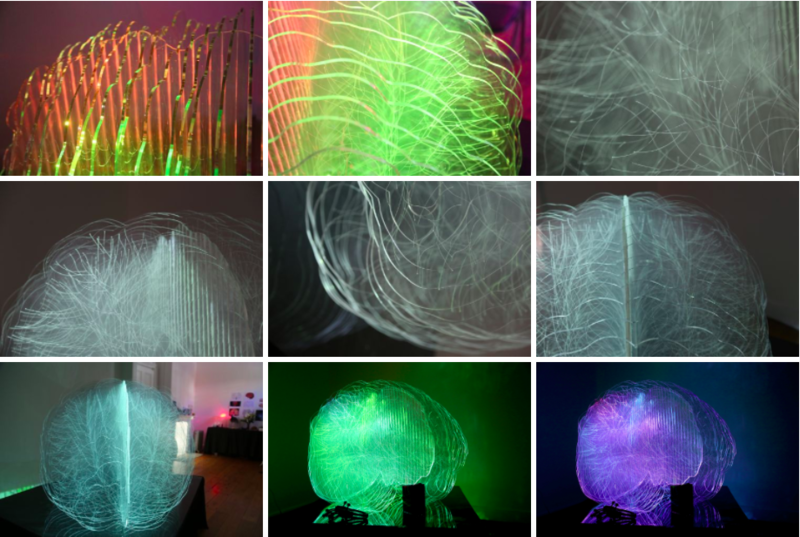 The project by Laura Jade stemmed from a research project in her Masters of Illumination Design, at the University of Technology, Sydney. It has since been featured at many corporate events and educational workshops to raise awareness of the brain and promote mindfulness, health, and well-being.